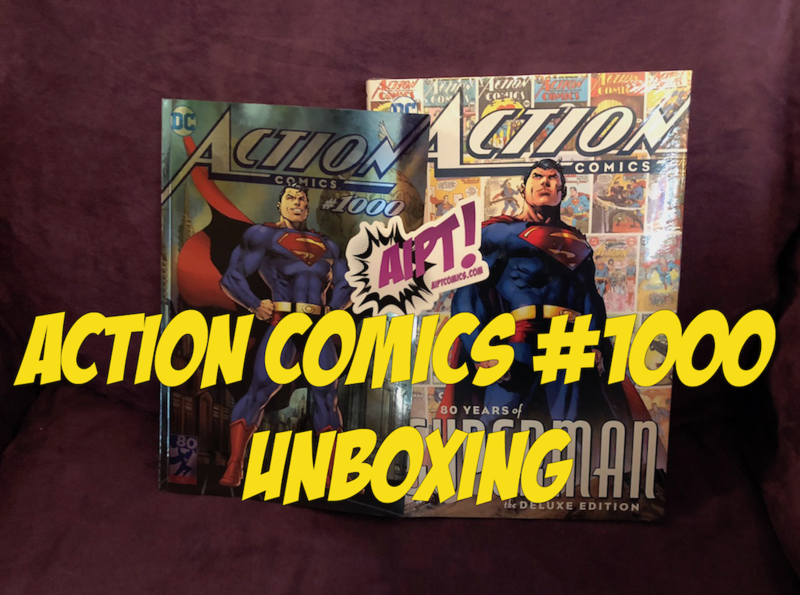 Action Comics 1000 press swag unboxing – AiPT! We unbox the special ‘Action Comics’ swag box from DC Comics. I can’t wait for Action Comics #1,000 in part because it has a masterclass of creators involved. It also kicks off Brian Michael Bendis’ start with DC Comics and his run on Superman. To celebrate DC Comics has released the excellent Action Comics: 80 Years of Superman Deluxe Edition today in comic shops. Next week is the floppy single issue that will make history, but today DC Comics was so excited themselves they’ve sent AiPT! a swag bag of items. To share in the fun, check out our unboxing of the special gift from DC Comics. As an added bonus, check out our giveaway where you can win both the comic and hardcover! AiPT! Giveaway: Win an Action Comics #1000 Prize Bundle!